The Blanche F. Ittleson Award recognizes outstanding achievement in the delivery of children's services and the promotion of children's mental health. The award was established in honor of Blanche F. Ittleson, a pioneer in the treatment and vocational training of individuals with developmental disabilities and emotional disturbances. Throughout her life, Mrs. Ittleson was continuously active in the fields of mental health, social work and philanthrophy. In 1932, she and her husband began the Ittleson Foundation, a philanthropic organization interested in the areas of health, welfare, public education for mental health and intercultural relations. During the 1950s, Mrs. Ittleson initiated and funded the Henry Ittleson Center for Child Research in New York, in honor of her husband, and the Blanche F. Ittleson Chair of Child Psychiatry at Washington University. The Henry Ittleson Center was established to further the care of emotionally disturbed children. The Center continues to provide treatment and schooling for children with autism, psychotic disorders, and victims of abuse. The Blanche F. Ittleson Chair of Psychiatry was the first endowed chair in child psychiatry in the United States. Developer of an evidence-based mental health treatment for young children exposed to domestic violence and other traumatic life events, Dr. Lieberman has advanced our understanding of attachments, toddler development and the effects of domestic violence on children and families. She is a professor of psychiatry at the University of California San Francisco and is the Director of the Child Trauma Research Project at San Francisco General Hospital. Additionally, she is the director of the Early Trauma Treatment Network and serves on the Board of Directors of Zero to Three. Watch this video to hear Dr. Lieberman explain the significance of relationships in the first three years of a child's life. Mary Ann McCabe (PhD, ABPP) is Associate Clinical Professor of Pediatrics at the George Washington University School of Medicine and Affiliate Faculty in Applied Developmental Psychology at George Mason University. She is also a clinical psychologist and consultant in independent practice. Dr. McCabe is a member of the National Academies Forum on Promoting Children’s Cognitive, Affective and Behavioral Health, and Chair on the forum collaborative on health care reform. She is also Past-President of the Society for Child and Family Policy, Chair of the American Psychological Association Interdivisional Task Force for Child and Adolescent Mental Health, and Chair of the Consortium for Science-Based Information on Children, Youth and Families. She led the planning of two national interdisciplinary summits on child mental health in 2009 and 2013. Most recently Dr. McCabe was Director of the Office for Policy and Communications for the Society for Research in Child Development (SRCD) where she oversaw bridging research with policy and practice and directed the SRCD Congressional and Executive Branch policy fellowship programs. Previously, she was the Director of Health Psychology and Director of Training in Psychology at Children’s National Medical Center. Her areas of scholarship have included knowledge transfer across research, practice and policy, promoting child mental health, and minors' capacity for involvement in decision making about medical and mental health treatment and research. Her doctoral training was completed at Catholic University of America, followed by an internship and fellowships with Harvard Medical School at Children’s Hospital of Boston/Judge Baker Children’s Center. Joan Lombardi was honored for her efforts to promote mental health and social justice on behalf of children and families across the globe. 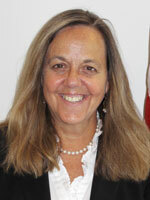 She is an international expert on child development and social policy. Over the past 40 years, Joan has made significant contributions in the area of child and family policy as an innovative leader and policy adviser to national and international organizations and foundations and as a public servant. She serves as Senior Adviser to the Bernard van Leer Foundation on global child development strategies and to the Buffet Early Childhood Fund on national initiatives. She also directs Early Opportunities LLC and is a senior fellow at the Center for American Progress. 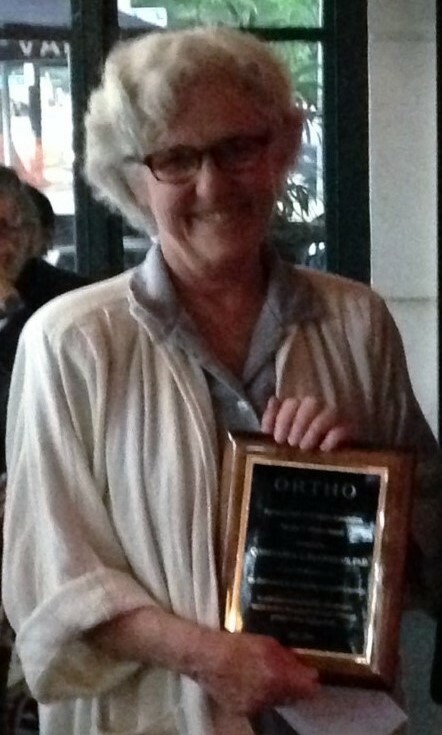 Connie Flanagan was recognized for her contribution to our understanding of youth civic engagement. Her scholarship has focused on factors that motivate youth to engage in civic affairs. Dr. Flanagan is a Professor of Civil Society and Community Studies in the School of Human Ecology at the University of Wisconsin-Madison. She serves on numerous national and international boards such as The Center for Information & Research on Civic Learning and Engagement (CIRCLE), and the National Commission on Youth Voting and Civic Knowledge. Her book entitled Teenage Citizens: The Political Theories of the Young won the 2014 Best Authored Book Award from the Society for Research on Adolescence. Paul Taylor was honored for his contribution to our understanding of generational change and for bringing attention to concerns regarding youth and young adult well-being in the Next America. Taylor is a senior fellow at the Pew Research Center and author of The Next America: Boomers, Millennials, and the Looming Generational Showdown. Before helping to launch the Pew Research Center in 2003, he served as president and board chairman of the Alliance for Better Campaigns, which sought to improve the content of political campaign communication. Taylor also worked for 25 years as a newspaper reporter. Barbara Huff and John Morris were co-recipients of the 2013 Ittleson Award for outstanding achievement in the delivery of children’s services and promotion of children’s mental health. For more than 30 years, Barbara Huff has been a tireless advocate in her efforts to develop a humane and responsive mental health system for children with emotional disturbance and their families. Huff was the founder and first president of the National Federation of Families for Children's Mental Health. During her tenure she helped develop more than 120 family-run advocacy organizations across the country, resulting in more families involved in decision making; new family leadership; and important policy changes resulting from the family movement. John Morris was recognized for his leadership to the mental health community. Morris spent more than twenty-five years in the public behavioral health field as a clinician, administrator, and educator, including serving as the South Carolina State Director of Mental Health, before moving into academia. At the University of South Carolina (USC), Morris was a Professor of Clinical Neuropsychiatry and Behavioral Sciences and Director of Health Policy Studies at the USC School of Medicine. He is a former chair of the Board of Directors of Mental Health America and past-president of the American College of Mental Health Administration and of the ACMHA Foundation. Morris currently is the Executive Director of the Annapolis Coalition on the Behavioral Health Workforce. Since 2000, the Coalition has provided leadership and technical assistance on workforce issues. Adeline Levine and Murray Levine were co-recipients of the Ittleson Award in 2012. The Levine's were honored for their distinguished contributions to the promotion of child mental health and family support. Through groundbreaking efforts to apply social history, professional expertise, and personal experience to achieve a more thorough and nuanced understanding of the factors affecting child, family, and community well-being, they have increased appreciation of the importance of social movements in the improvement of everyday life. In so doing, they have integrated the intellectual and moral challenges raised by insightful and courageous pioneers within helping professions, grassroots organizations, and mutual assistance groups Combining the perspectives of historians, lawyer, nurse, and psychologist, the Levines have elevated the significance of public health in the life of communities. In recent years Addie and Murray Levine published a regular column in the American Journal of Orthopsychiatry. Titled “Reflections from the Ninth Decade,” they used the forum to argue strongly for support of teachers, universal public education and the elderly. Jean Twenge received the Ittleson Award for her groundbreaking research and commentary on generational trends in the mental health of children, adolescents, and young adults. Through careful and creative cross-temporal meta-analyses of studies using common personality scales and through cross-cohort comparisons of responses to national annual surveys, Dr. Twenge has provided stunning evidence of generational increases in young people's misery. In so doing, she has demonstrated the causal relationship between societal declines in social capital and threats to young people's mental health. She has drawn attention to the epidemic of loneliness resulting from cultural obsessions about individual achievement and entitlement (defined in both instances in relation to personal prestige and material wealth). In thoughtful recommendations for public policies designed to enhance our care for one another, she has provided ambitious but achievable prescriptions for public mental health. Ellen Bassuk was honored for her leadership in responding to the needs of homeless families in the United States. As founder and president of the National Center on Family Homelessness, Dr. Bassuk has been at the forefront of research and evaluation, program design, service delivery, and advocacy on behalf of homeless children and families. In particular, she has led in the description of the trauma experienced by many homeless children and the development of strategies for its mitigation. As a former editor of the American Journal of Orthopsychiatry and the visionary leader of the nation Campaign to End Family Homelessness, she exemplifies the application of mental health expertise in the service of Ortho values. The Institute on Family and Neighborhood Life (IFNL) at Clemson University was recognized for innovation, leadership, and dedication in the design, implementation, and the study of strategies to strengthen community support for families, both in South Carolina, the Nation, and the World. Grounding their work in respect for human rights, IFNL faculty emphasize the personal and social significance of protection of important relationships in both family and community life. They have used this normative perspective in the design of strategies relying on the transformation -- and sometimes the development -- of primary community institutions. Such strategies have the common element of ensuring that "people don't have to ask" for help in everyday settings. Relying on "natural" community assets, IFNL faculty and staff have applied this idea in building and evaluating systems for personal safety and family support in schools, early childhood centers, churches, grassroots organizations, and whole communities. In strengthening social and material support for all, they have developed systems capable of responding to the exceptional needs of adolescent parents, recent immigrants, families of prisoners, and families in crisis, including families lacking the necessities of life. In so doing, they have not only met immediate personal and collective needs in ways that were respectful of the communities with which they worked, but they also have provided models useful in diverse cultural contexts. Communicating these models more broadly, IFNL faculty have developed a unique international doctoral program and related partnerships abroad. Froma Walsh and John Rolland were co-recipients of the Ittleson Award in 2008 for their distinguished contributions to the well-being of families. Dr. Walsh was honored for her contributions to the development of an approach to family therapy that recognizes and makes use of the strengths and resources of families. Through her research and clinical experience, Dr. Walsh has demonstrated how the use of a resilience model that builds upon a family's potential, resourcefulness, and strength can help families overcome adversity, recover from trauma and loss, and address life's challenges. Using this knowledge, she has expanded our understanding of families and given all professionals new strategies for enhancing their work with families. Her work has made important contributions to the well-being of families and to the development of practice that is respectful of the dignity of families. Dr. Rolland was recognized for his groundbreaking work in the generation and application of knowledge about the relationship of serious illness and disability to the well-being of families and for his articulation of an integrative treatment model -- the Family Systems Illness Model. The Model can help practitioners provide more humane interventions to families struggling with the full range of chronic and life-threatening disorders. 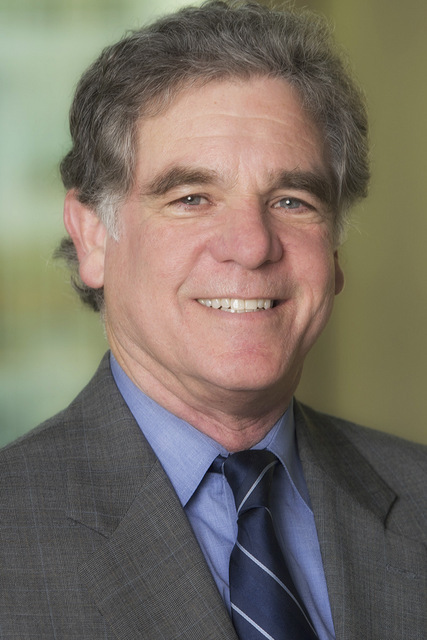 As the founder and former director of the Center for Illness in Families at Yale University and the co-director of the Center for Family Health at the University of Chicago, Dr. Roland has distinguished himself both nationally and internationally in providing highly practical guidance to health and mental health professionals and to students who are grappling with providing interventions that are respectful of the families with whom they are working and their challenges. David Wolfe received the Ittleson Award for his many contributions to the development and evaluation of universal approaches to enhancement of the safety and well-being of children and adolescents. Uniquely, Dr. Wolfe has been a leader in research on (a) the causes and consequences of threats to young people's safety, (b) prevention to avoid such wrongs, and (c) treatment to mitigate their effects. Dedicated to the establishment of more humane communities in which young people may grow with a sense of security and belonging, Dr. Wolfe has made important contributions to broad-based programs and policies for the prevention of both child maltreatment and intimate partner violence. Edward Zigler was honored for decades of leadership in the development of systems of universal support for children and families. The designer of Schools for the 21st Century, Dr. Zigler himself pioneered in the development of programs of comprehensive school-based assistance to families with children. Widely recognized as the central figure in the development of Head Start and related programs, Dr. Zigler has also been a tireless advocate for federal policies designed to create and sustain humane settings for children's care -- settings that also welcome and assist the children's parents. In so doing, he has been a remarkable model for expression of social concern and application of developmental science by generations of mental health professionals and students. 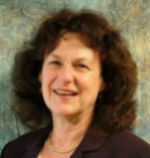 As the director of the Center on School, Family and Community Partnerships and the Center for Social Organization of Schools, Joyce Epstein was honored for her distinguished contributions to developing and sustaining research-based partnerships between families and communities with an emphasis on student success in school. Dr. Epstein developed a framework for parent involvement that can assist educators in developing school and family partnership programs. 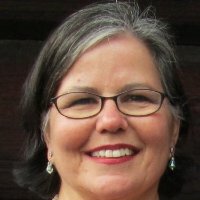 Her work has consistently demonstrated a commitment to developing connections between research, policy and practice as it relates to family and community involvement with schools. Sandra Christenson was recognized for her distinguished contributions to the promotion of children’s mental health through her groundbreaking efforts to enhance schools’ support for family life. Dr. Christenson’s research has illuminated the critical elements in family-school relations generally and parent engagement specifically. Using this basic knowledge, Dr. Christenson has designed interventions to create partnerships among educators, parents, and students and thereby to reduce families’ alienation from the schools and facilitate students’ success. Her work has thus made important contributions to the creation of humane school environments that welcome, not exclude, children and their families.